Leadshine offers wide choices of closed loop stepper drives which can control stepper motors through simple step and direction control or EtherCAT network bus. After adding an encoder to a stepper motor, a closed-loop stepper drive can detect both the commanded target position & real-time position of the motor shaft and thus capable of closing the position loop like servo system. 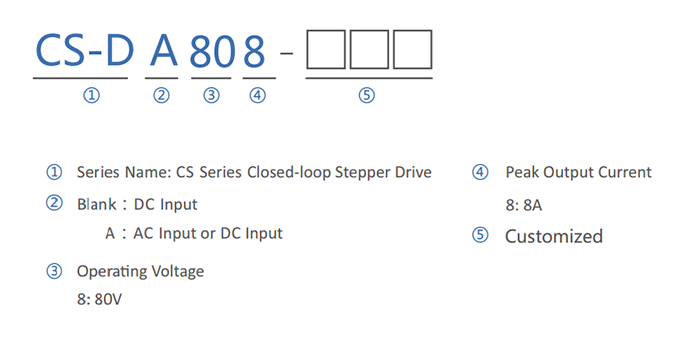 This approach makes the closed-loop system not only solve the step loss problem of open-loop stepper systems, but also keep the simplicity and low cost features of open-loop systems. 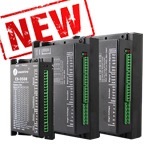 Therefore, Leadshine closed loop stepper drives are ideal choices for upgrading open-loop systems, or replacing many servo low-middle-speed applications. Leadshine’s CS-D series product is means Closed Loop Stepper Drive, offers an alternative for applications requiring higher performance and higher reliability than open loop stepper system, and it remains cost-effective. EtherCAT closed loop stepper drives to power closed loop stepper motors of NEMA 8, 11,14,17,23, 24, 34, and 42; compliant with COE; no loss of step; LED display.